The Johan van Hasseltkanaal, a side canal from the IJ river (in the north of Amsterdam), is a calm spot at the moment. 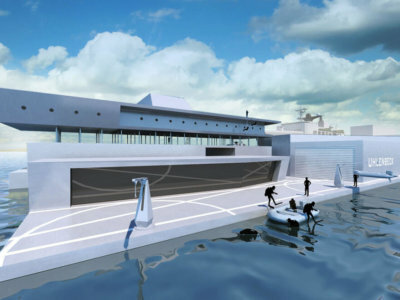 But that will change: this will be the home of a floating neighborhood project called ‘Schoonschip’. Literally, Schoonschip can be translated as clean ship. 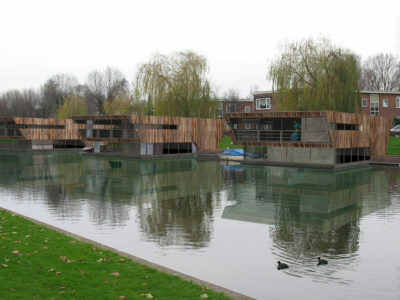 The neighborhood consists of homes for 46 households and a community center on 30 floating plots. 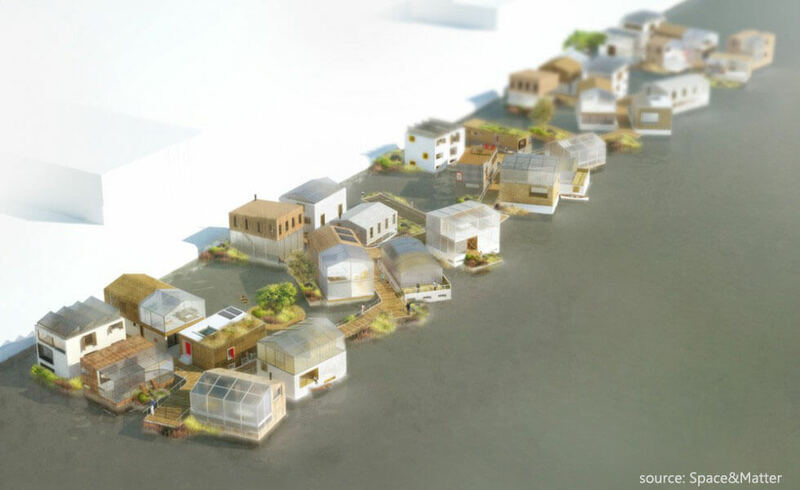 The first of the water homes will be realized in 2017, and by 2019 the most sustainable floating neighborhood in all of Europe, with in total 46 households and more than 100 inhabitants, will become a reality! 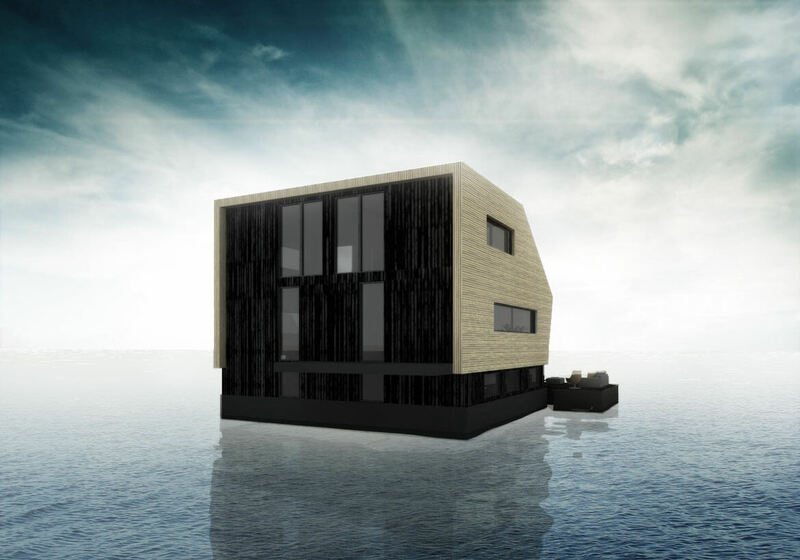 The water homes are well-insulated (EPC = maximal zero) and will not be connected to the natural gas network. 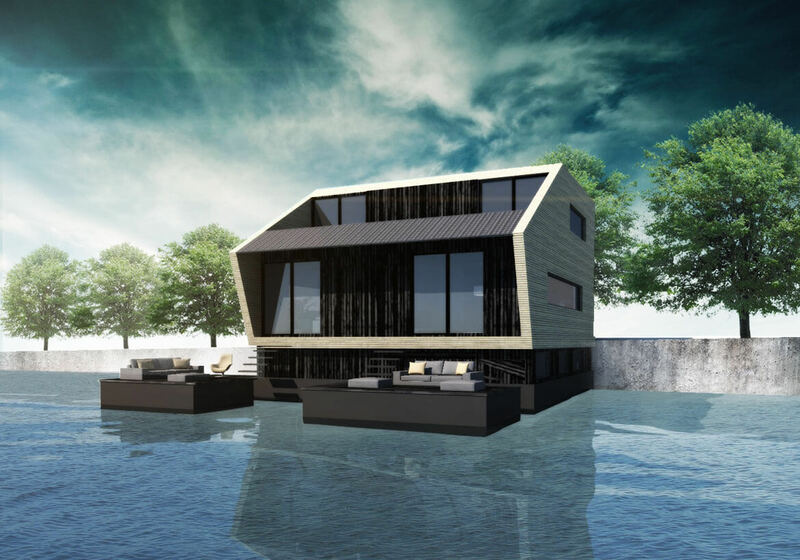 The heat will be generated by water pumps, which extract warmth from the canal water, and passive solar energy will be optimized. Tap water will be heated by sun boilers in warm water pumps; all showers are equipped with installations that recycle the heat (WTW). We are producing our own electricity with photovoltaic solar panels. Every household has a battery in which temporarily unneeded energy can be stored. 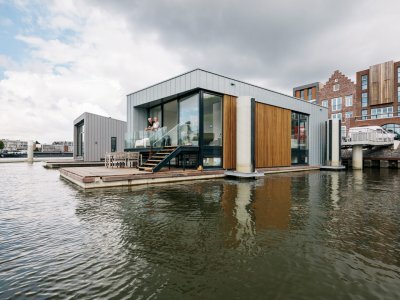 All water homes are connected to a communal smart grid. This smart grid makes it possible to trade energy efficiently amongst the households. 46 households will share only one connection to the national energy grid! Gray water (i.e. washing machine) and black water (i.e. 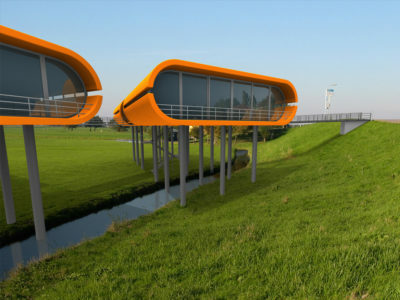 toilet) will be ‘flushed’ by a separate source of energy. Waternet will eventually include us in their pilot project, which delivers the toilet water to a bio-refinery, in order to ferment it and transform it into energy. All homes will have a green roof covering at least one third of the roof’s surface.